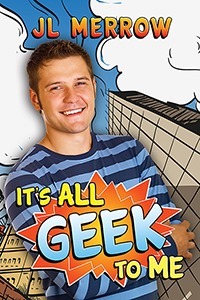 Yep, my upcoming release It’s All Geek to Me is up for grabs over at Stumbling Over Chaos! For a chance to win a FREE copy, just comment on the post here. Good luck! I’ve already pre-ordered, looking forward to reading this story, sounds fun! I’m also thrilled about the soon to be released next installment with Tom & Phil in “Relief Valve”. I enjoyed the excerpt on Samhains website, good to see Tom is still as cheeky as in PH, and that the cats are still running the household!